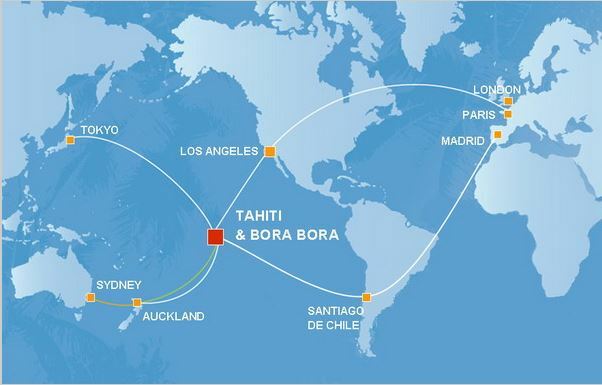 With 6 direct flights a week from LAX, Air Tahiti Nui is the easiest option to fly from the USA to Tahiti. Air Tahiti offers daily flights to Bora Bora from Tahiti, but also from other islands (Moorea, Huahine, Raiatea and Maupiti). From Bora Bora, you’ll also be able to fly to the Tuamotu Archipelago (Rangiroa, Tikehau or Fakarava).